Since announcing plans in late 2006 to build its own GNSS system — BeiDou-2 (BDS), China proceeded quickly to establish a fully operational regional system late last year with a clear plan to complete a global system by 2020. 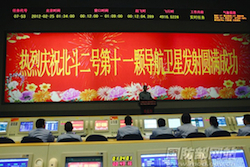 Beginning with its first launch in April 2007, BDS has put 16 satellites in orbit, some in dual launches, with 14 BeiDou space vehicles currently transmitting healthy signals: 5 in geostationary orbits (GEO), 5 in inclined geosynchronous orbits (IGSO), and 4 middle Earth orbit (MEO) spacecraft. This innovative mixed-satellite design has enabled China to do two key things: first, build a highly accurate and available GNSS capability over the national territory and adjacent regions and, second, encourage early adoption of BeiDou-supported applications. 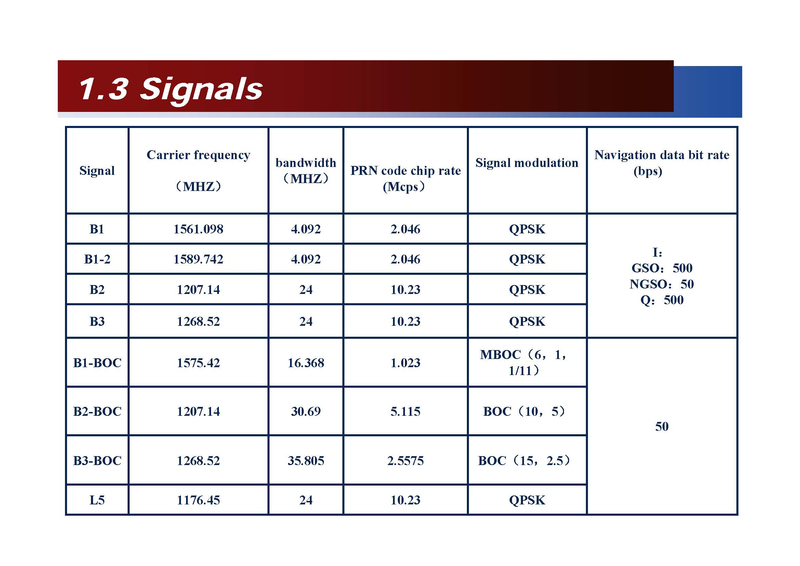 According to Chinese researchers, most areas in the Asia/Pacific region can receive signals from 8 to 9 BDS satellites on average and achieve a standard positioning service (SPS) level with the following real-time accuracies: horizontal positioning, 10 meters; vertical positioning, 10 meters; velocity, 0.2 meters per second; and one-way timing, 20 nanoseconds. China is now exploiting the BDS for numerous applications, while evaluating the system’s current performance and planning the final design and implementation of the next stage of the system. To help us gain further insight into the current status of BDS operations, we turned to Professor Jingnan Liu, former president of Wuhan University where he currently heads the National Engineering Research Center for Satellite Positioning System. Liu is an academician of the Chinese Academy of Engineering with deep expertise in GNSS system technology in general and BeiDou in particular. IGM: What sectors of the Chinese civilian economy have shown the most interest in applications of BeiDou? LIU: The most interested application should be the transport sector in the Chinese civilian economy. As a large developing country, automobile consumption is growing fast in China. Consequently, traffic congestion, road safety, and environmental pollution have become a serious social issue. People waste a lot of time on the road. This requires Intelligent Transportation. Most land vehicles now use GPS for navigation in China, but its availability decreases in some urban areas. Using GPS+BDS increases the availability and accuracy for users. The BDS Wide Area Augmentation Differential Positioning and Wide Area Precise Positioning System can offer meter to sub-meter level service, which contributes to land vehicle lane-level navigation, intelligent transportation, and management. Therefore, the most interested application may be in the transport sector. For commercial applications, since the quick development of E-commerce or online shopping, commodities need improved logistics and transportation to reach clients. Whether the clients are mobile or not, this can be done using the instantaneous service of GNSS positioning. China is flourishing, with rapid economic development and urbanization. Precise positioning techniques play a significant role and can guarantee the planning, construction, and management of cities. IGM: What are some of the leading initiatives in China to encourage use of BeiDou in various types of applications? LIU: The central government, local governments, and some industries have all established policies to encourage the use of BDS. The National Development and Reform Commission (NDRC), Ministry of Industry and Information Technology of the PRC (MIIT), and Ministry of Science and Technology (MOST) of the PRC develop policies to encourage the development of BeiDou applications. Governments at all levels in China are also establishing some development funds to implement new ideas for BeiDou applications after proposals are evaluated and demonstrated. The funding from the government is just start-up support. Through market-based mechanisms, promotion of BeiDou’s application can be achieved. The NDRC mainly focuses on BDS applications development; MIIT focuses primarily on the development of industry related to BDS chips, user equipment, and software; and the MOST mainly focuses on fundamental aspects of frontier technologies and innovation of BDS. Scientific and professional applications have their own resources and motivation to promote BDS based on their requirements. Scientific issues have gotten the attention from government and have gained attention from scientists and the professional sector. The Chinese government will give priority to public service applications of BDS. For example, the short message service (SMS) function of BDS has already played a significant role in earthquake relief in China in recent years. IGM: The BeiDou constellation has a unique composition among the world’s GNSSs with its use of IGSO, GEO, and MEO spacecraft. What are some of the differences among the various types of satellites in terms of their positioning accuracies and characteristics? LIU: For the current regional navigation service of BDS, the main contribution to positioning comes from the GEO and IGSO satellites. Due to the characteristics of the BDS constellation, the positioning service will be affected by the geometry of the satellites. The GEO satellites are static relative to the earth; only two-dimensional positioning can be achieved using only GEO satellites. Moreover, in the northern and southern hemispheres, the elevation of GEOs is generally low. This leads to some signal blockage and decrease in the availability of the GEO satellite signals. Due to the current uneven distribution of the BDS monitoring stations in the Asia/Pacific region and the weak satellite geometry of the constellation, the accuracy of orbit determination of the GEO satellites is affected in some directions, especially in the along-track direction, which has approximately a two- to three-meter level of accuracy. This leads to worse accuracy of positioning in some directions. The orbital movement area is also small for IGSO relative to MEO satellites. Geometry and the number of satellites affect positioning performance. With the increase of MEO satellites and more even distribution of monitoring stations in the future, these situations will get better. In general, elevations of GEO satellites may be low for many BDS users, which lead to significant multipath effect currently. Some relevant research and measures to overcome these issues are under way. IGM: Presumably, with more satellite signals available from the IGSOs and GEOs, this will produce higher accuracies over the Asia/Pacific region than in the rest of world, which will rely primarily on positioning signals from BeiDou MEOs once full global service is available. Has the difference of regional versus global accuracy been estimated? Do the BeiDou GEOs also support China’s satellite-based augmentation system (SBAS)? LIU: As for the difference between the global and regional services, some simulations have been undertaken to evaluate these. Results shows that standard positioning service (SPS) can be offered for both global and regional coverage. Due to the larger number of satellites in the Asia/Pacific area, BeiDou signal availability will improve and accuracy should also be better when compared with global performance. We expect a 5 to 10 percent improvement in BDS positioning accuracy in Asia/Pacific area compared with the rest of the world. Another major advantage for the Asia/Pacific area is that SBAS service can be acquired from the current BDS GEO satellites, which means sub-meter and meter level positioning accuracy for dual-frequency and single-frequency receivers, respectively. Once full global service is available, the GEO satellites will undoubtedly be maintained as the components of BDS’s SBAS.